November 6, 2012 February 17, 2019 Evenstar SaimaLeave a Comment on Has Kimi kept it cool? 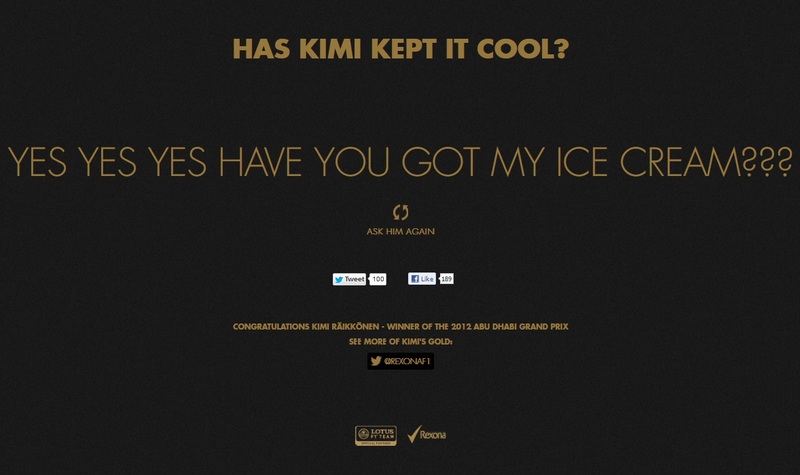 Has Kimi kept it cool? Kimi and the Lotus guys are at it again with another personalised website: www.haskimikeptitcool.com. Catch this video of Kimi’s radio messages from the Abu Dhabi GP, thanks to @F1pPitRadio.